This bride and groom chose to have their bridal portraits taken at Segerstrom Center for the Arts. As a photographer I love taking photos here especially of couples who just got married. 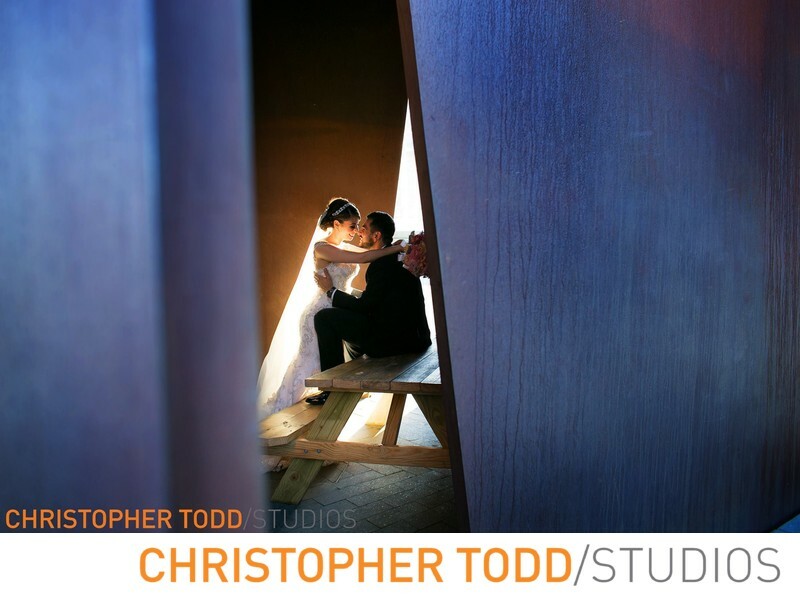 The lighting came through this wall perfectly to light up the bride as she hugs the groom. 1/100; f/3.2; ISO 200; 24.0 mm.